Marketing a luxury product isn’t easy. First, you have to understand what “luxury” is. Webster’s says it’s something adding to pleasure or comfort but not absolutely necessary; an indulgence in something that provides pleasure, satisfaction or ease. But luxury is also subjective, depending on your socioeconomic status. An extravagance for some—say, a smartphone—is an everyday item for others. However, when it comes to the finest jewels in the world, retailing for sometimes millions of dollars, most would agree that they belong in the luxury category. These jewelers have to appeal to a discerning audience, demonstrating their product’s distinctiveness, uniqueness and superiority. Again, not easy. I was fortunate enough to attend The Couture Show at the Wynn in Las Vegas on behalf of Four Seasons Magazine. According to the site, the show is “the most exclusive and intimate destination for the luxury jewelry and timepiece market.” Here are three designers I found at the show who do a great job marketing their brands to a high-end audience. 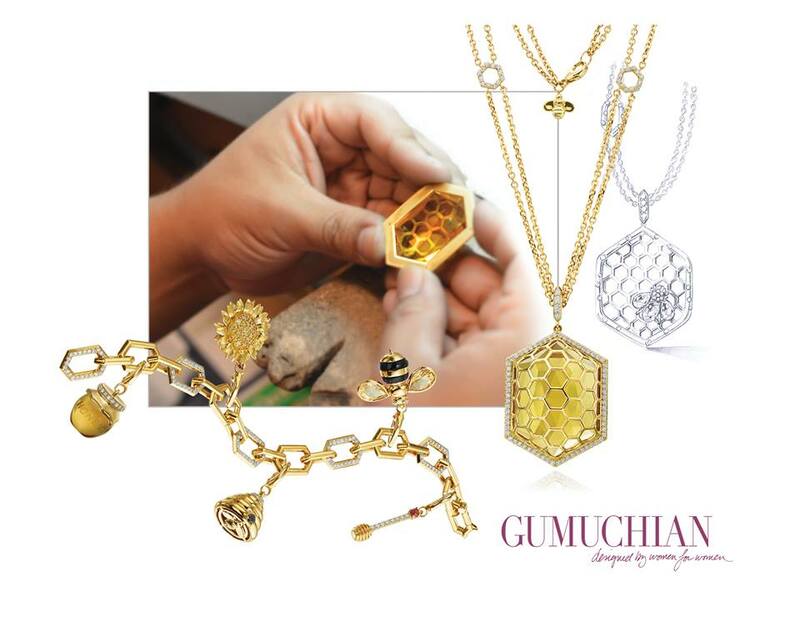 Albert Einstein said, “If the bee disappeared off the surface of the globe, then man would have only four years of life left.” Gumuchian Marketing Director Jodi Goldsmith reminded me of the quote as she displayed their “B” collection. The luxury brand launched the bee-themed line in support of the declining honeybee population that’s affecting plant life and the food supply worldwide. A portion of their proceeds goes to the non-profit HoneyLove.org, which promotes urban beekeeping and home gardens. Appealing to a luxury audience through philanthropy strikes a chord because throughout history, the wealthy have felt a strong responsibility to give back (think Andrew Carnegie at the turn of the 20th century). The rich can feel good about a luxury purchase when their money is supporting a charity or helping to better the world. In this case, not just any worthy cause, but a unique one—an eco-friendly, grassroots organization that will receive the funds directly from Gumuchian. Recently, Honey Love hosted a Bee Symposium using donations from the “B” collection. In turn, the luxury line is promoting the collection and, er, cross-pollination with Honey Love, which has featured the jewelry and all the buzz surrounding it on its website. According to Mark Twain, “There is no such thing as a new idea.” We take original ideas and recycle them to make them our own. 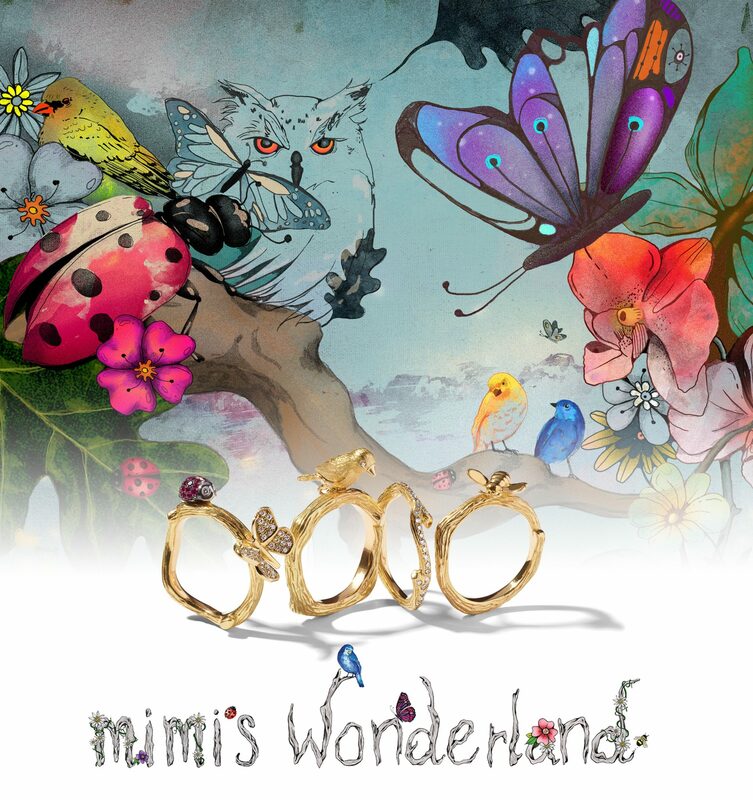 Enter Mimi So’s new Wonderland Collection, inspired by none other than Alice herself. Mimi So spins a new and dreamy tale in gold and diamond bees, birds, twigs, flowers and ladybugs. “Wonderland has led me to a colorful place in life, a vibrant enchanted forest where I am free to let go and drift into my imagination,” she says. “It’s a creative enclave where I can color beyond the lines and think outside of the box.” Mimi So’s ability allows us to wear a fairy tale—a quite luxurious and singular tale. Creativity is more important than ever for luxury brands because of a shift in the shopping stratosphere. Mainstream designers are pushing to become more premium, while classic luxury lines are slipping into a middle-income market. Thus, luxury brands must retain their status and distinguish themselves from the masses. A high level of creativity ensures a certain cachet and connection with clients who receive something that is priceless—individuality and artistry. With the Wonderland collection, luxury consumers can seem as artistic as Mimi So by wearing her jewelry in myriad ways through stacking and layering, and with earrings that can be taken apart and worn as studs or tassels. If someone else in the room is wearing Mimi So, not to worry—you’re assured you’re wearing your own combination. In the world of luxury, the word “trendy” is synonymous with “tacky.” Jewelry Designer Todd Reed eschews trends and does his own nature-inspired thing joyfully. Reed sketches his pieces, selects the stones and does all the work by hand. No two are ever alike. With the tagline “raw elegance,” he uses raw diamonds, embracing the beauty of their imperfections. Some he recycles from 18th-century pieces, tumbles for months in preparation for their design and then sets them in interesting palladium settings. Unusual diamond colors range from grays to burgundies. 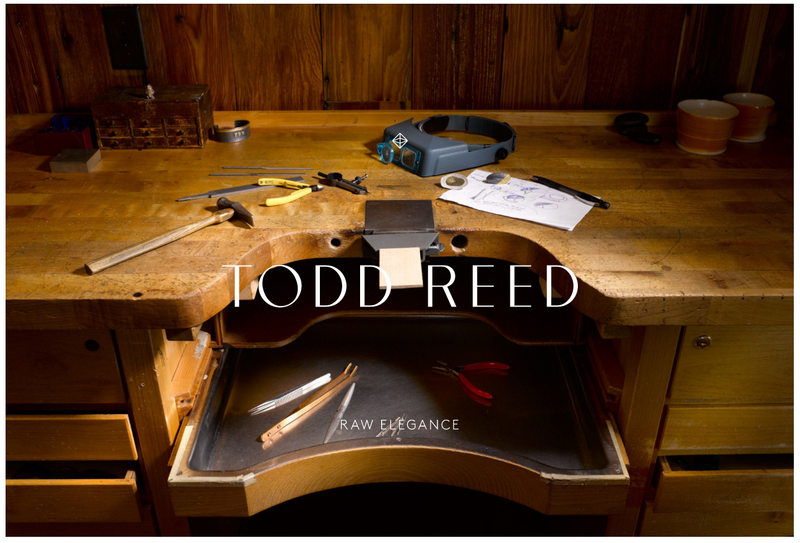 According to his website: “At the heart of every success is Todd’s commitment to authentic design.” He uses his site as a platform to tell his own story in both video and engaging accompanying text. Through philanthropic efforts, creativity, authenticity and personality, these brands are setting themselves apart in a competitive industry that is thoroughly saturated with “top-quality stones” and “custom design.” But it’s not enough for them to simply possess these qualities that appeal to the luxury audience. They’re also marketing their brands in a manner that makes them memorable—fueling our desires to possess one of their luxurious designs.